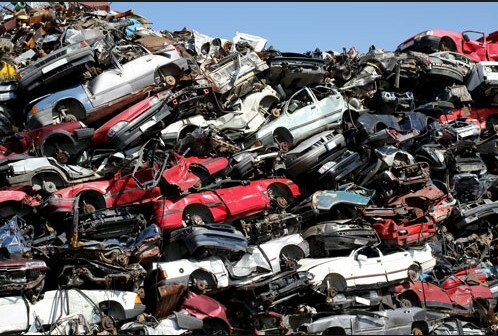 There was a time, when scrapping a car meant dropping it off to a car scrap yard and if you were lucky you weren’t charged for the privilege! The scrap cars would often sit there, rusting and polluting the environment. The legacy of scrapping your car was that pollutants such as mercury, motor oil, petrol, diesel and antifreeze all became part of the water supply and the ground of the yard became toxic. Scrapping a car was time consuming, inconvenient and environmentally unfriendly. Thankfully, times have changed and now scrapping a car is easy – with Motorwise you can get a free scrap car quote online within seconds. ATF's are the only organisations permitted to scrap cars and provide an authentic Certificate of Destruction (CoD). Every ATF in the Motorwise network is licensed either by the Environment Agency, Scottish Environment Protection Agency or Natural Resources Wales. Our network of approved scrap car dismantlers will recycle every scrap car in accordance with the latest legislative regulations. We're committed to reducing pollution and waste associated with scrapping a car and we provide consumer-friendly, safe and legally compliant access to the car scrap industry. Here at Motorwise, we want to make the process of selling your scrap, damaged or faulty car as quick, easy and hassle free as possible. We pride ourselves in delivering a friendly and professional service to all our scrap car customers, providing telephone and email support throughout your scrap car's journey.